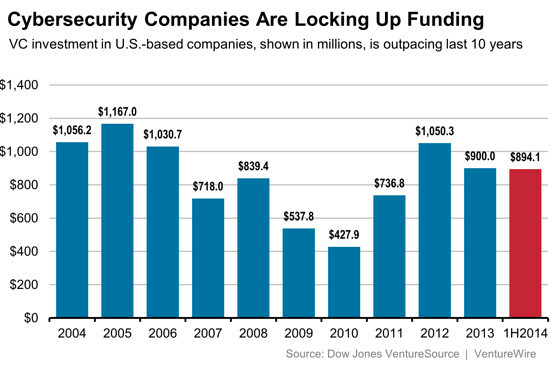 In August 2014, the WSJ reported about the first half year of private equity transactions in cyber security. There is a lot of investor interest, supported by the growing market demand and stream of reports on breaches and incidents. Biocatch Ltd., which provides cyber - security services that include behavioral biometric authentication and threat detection, has raised $10 million in funding. Onapsis Inc. has raised $9.6 million in funding led by .406 Ventures and supported by Endeavor Catalyst and existing investors. A list of transactions will be posted and regularly updated.